Join the ranks of our influential parents -- earn your first chance to win! Thank you for your interest in joining the Disney Parent Pulse Panel, a select board of advisors focused on topics that matter most to parents. This is your chance to tell us what you think about issues that matter most to you and your family– everything from healthcare to housewares, from parenthood to your neighborhood and everything in between. Through the Disney Parent Pulse Panel, you will be asked to share your thoughts on a wide variety of topics, your interests and preferences, as well as your thoughts about new products, Web sites, and advertising. You have the opportunity to help shape the Disney online experience -- our programming, messaging, and the topics that matter most to parents today. Plus, you may also have the chance to test new products and receive exclusive offers from Disney and our promotional partners. A select group of influential parents will be rewarded with a trip to the Disney Studios in Los Angeles and honored in a live parenting panel with an audience that includes Disney executives and leaders from top Fortune 500 companies. Plus, one Parent Pulse Panelist will be selected every month to be featured in our “Mom (or Dad) of the Month” special on Family.com. What else? Just by joining the panel and completing the following registration, you will be entered into our Parent Pulse Sweepstakes which will give away over $10,000 in cash prizes this year. In addition, for every survey you complete while participating in our panel, you are entered for an additional chance to win. Ten lucky panelists will be awarded $100 every month just for participating. See official Sweepstakes Rules under the “Rewards” section of this Web site for more details. Your opinions are very important to us. Today, you will be answering some questions that will help us select the most relevant and interesting surveys for you and your family. If you have any questions about the survey, feel free to e-mail us at support@disneyparentpulse.com. First, we will ask you some questions to ensure that you qualify for participation in the panel. Please click "next" to continue. The survey itself took about 15 minutes and I have no idea what would disqualify a person. If this wasn’t from Disney and if I hadn’t already decided I’d blog about it, I’m not sure I would have completed this survey. It felt very personal. The first questions were about me such as age and education. They then wanted to know about our household income and what type of vehicles we drive and what electronics we own. There were quite a few questions about online habits asking how much time per week you spend on various activities and lots of “do you go to this site” types of questions. I’d never heard of most of the sites they were asking about but most of them seemed geared toward parents. They asked for ages of children in the household and their online habits. I really wished there was a “none of the above” option for that page since Tink is too young for the internet. The funniest question wanted to know if you were a Disney fan (scale of 1-10), a Barbie fan, or I think Nick Jr. The Barbie thing just caught me off guard and made me laugh out loud. Guess they see her as competition for the princesses. In addition to asking about how many times you have visited Disney Parks and your level of interest in returning (puh-lease), they wanted to know my opinion of Disney and other communications companies. Another humorous question was how much money you’ve spent in the last year on Disney character merchandise. Uh, I’ll take the highest category. Other questions included topics such as what I do in my “me time” and what my family enjoys doing together. After this process, I received a second email which included a link that must be clicked in order to activate my participation. The site itself is pretty bare bones for a Disney product. Maybe they were just going for a clean look. Anyway, they will post additional surveys there from time to time. I am hoping they send some sort of reminder email because the odds of me going back to this site unprompted are slim. I spent a few minutes looking around at the small amount of information available currently. I found it interesting that the potential “rewards” for participating are even better than advertised on the email or the initial survey. A select group of influential parents will have the chance at a trip to the Disney Studios in Los Angeles to be honored in a live parenting panel with an audience that includes Disney executives and leaders from top Fortune 500 companies. Plus, one Parent Pulse Panelist will be selected every month to be featured in our "Mom (or Dad) of the Month" special on Family.com. What else? Just by joining the panel and completing the following registration, you will be entered into our Parent Pulse Sweepstakes which will give away over $10,000 in cash prizes this year. In addition, for every survey you complete while participating in our panel, you are entered for an additional chance to win. Ten lucky panelists will be awarded $100 every month just for participating. That’s it for now. I’ll post again if this becomes anything interesting. 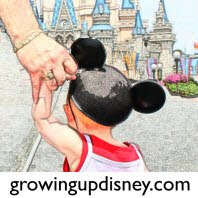 If you didn’t get the original email, I believe you can volunteer by going to http://www.disneyparentpulse.com/. I completed the survey yesterday too. My husband even had an ivite to his personal e-mail too. I love having the opportunity to give input, but like you, I hope they send reminders or updates!